Rome, Italy – Today Fisheries Ministers from the Mediterranean and the Black Sea and the European Commission have officially launched a detailed Plan of Action to ensure a sustainable future for small-scale fisheries and the marine environment in the region. WWF strongly welcomes the Plan and its crucial commitment to strengthen fishers’ participation in the management of marine resources, finally turning the tide on decades of overfishing and mismanagement. The adoption of the Regional Plan of Action for Small-Scale Fisheries in the Mediterranean and Black Sea (RPOA-SSF) concluded a two-day High-Level Conference organised by GFCM-FAO in Malta (25-26 September), with the contribution of the European Commission, the Maltese Government and WWF. National authorities, fishers’ groups and NGOs presented new sustainable ways to manage fishing activities in the world’s most over-exploited region. Since ancient times, small-scale fisheries have played an important socio-economic and cultural role in the Mediterranean and in the Black Sea, and still today they represent over 60% of its fleet, creating around 300,000 jobs. Decades of overfishing and mismanagement have severely degraded the marine resources of the Mediterranean, with over 80% of assessed stocks being overfished. This is also threatening the survival of small-scale fishers and their families whose livelihoods and income depend on dwindling catches. “The dramatic depletion of fish resources in the Mediterranean and the crisis it presents for its key fishing sector shows that the current centralised, top-down system has failed. WWF strongly supports today’s decision to bring small-scale fishers into the decision making process and develop management systems that better adapt to local needs and are therefore better implemented. Our work with fishers across the Mediterranean has already proven that such a system is the best way to empower coastal communities and engage them in the preservation of the marine environment.” said Giuseppe di Carlo, Director of WWF’s Mediterranean Marine Initiative. To further promote the implementation of the Plan of Action, WWF, GFCM-FAO and other organisations launched the “Friends of Small-Scale Fisheries” Platform today. This will ensure the much-needed collaboration among key stakeholders to transform small-scale fisheries into a more competitive and sustainable sector. 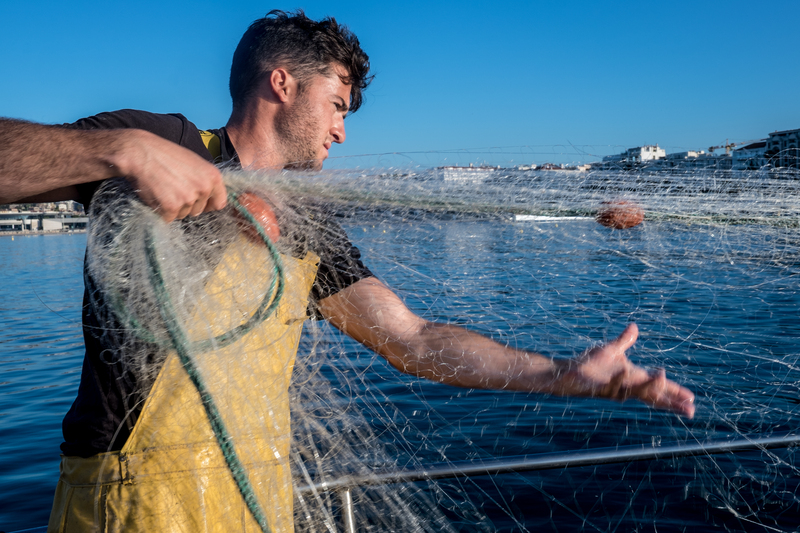 WWF, in partnership with GFCM-FAO and other organisations, is already leading the single largest initiative on small-scale fisheries to increase capacity and develop co-management schemes in 21 selected sites in Spain, France, Italy, Slovenia, Croatia, Greece, Turkey, Tunisia and Algeria. All together, these nine countries represent more than 60% of the small-scale fisheries sector in the region. “WWF has embarked on a deep transformation of Mediterranean small-scale fisheries into a really sustainable and prosperous sector that has a vested interest in the safeguarding of ocean’s health. We need fishers, authorities, NGOs, scientists and local communities to work with us to preserve our unique cultural and economic resources and let our sea thrive again.” concluded Di Carlo.